Nordstrom Local, a new concept store by Nordstrom, held an exclusive pre-Oscars dinner and Academy Awards viewing party, both produced by A-List Communications, for Hollywood’s most celebrated weekend. In case you didn’t know, Nordstrom Local provides clients with styling services, alterations, in-store or curbside online purchase pick up, easy exchanges and returns, and a signature nail bar. So good. On Saturday, the store played host to the exclusive Sony Pictures Classics pre-Oscars dinner honoring the nominated film, Call By Your Name. The film’s star, Timothee Chalamet, who was up for an Oscar, was in attendance, along with director Luca Guadagnino. Dressed in black jeans, a bomber jacket, and Saint Laurent kicks, Chalamet as fresh on the heels of winning his Independent Spirit Award for Best Actor and was elated to see Guadagnino when he arrived. The duo also waved to fans lined up outside the store hoping to catch a glimpse of the action. 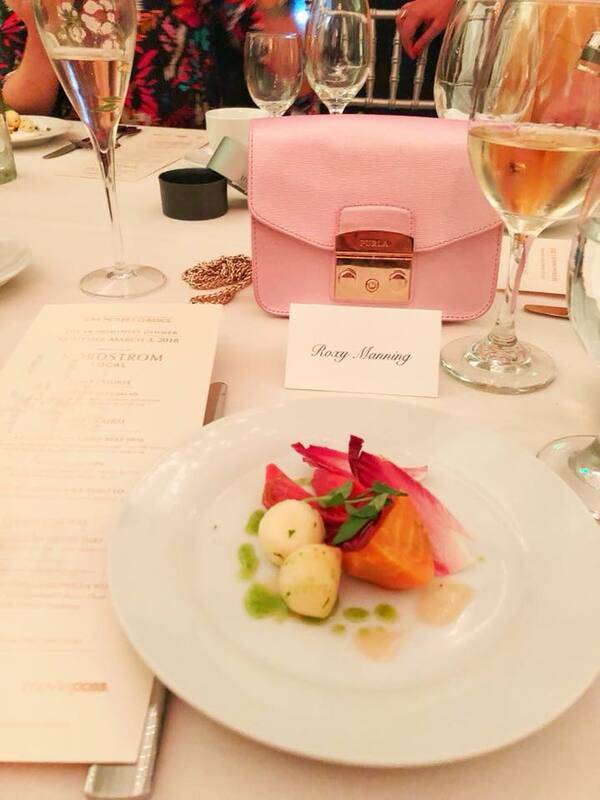 Guests dined on a delish dinner prepared by STK, and enjoyed the entertaining Michael Barker of Sony Picture Classics as he introduced notable guests during the celebration. The event also honored the foreign-language films Loveless and A Fantastic Woman. 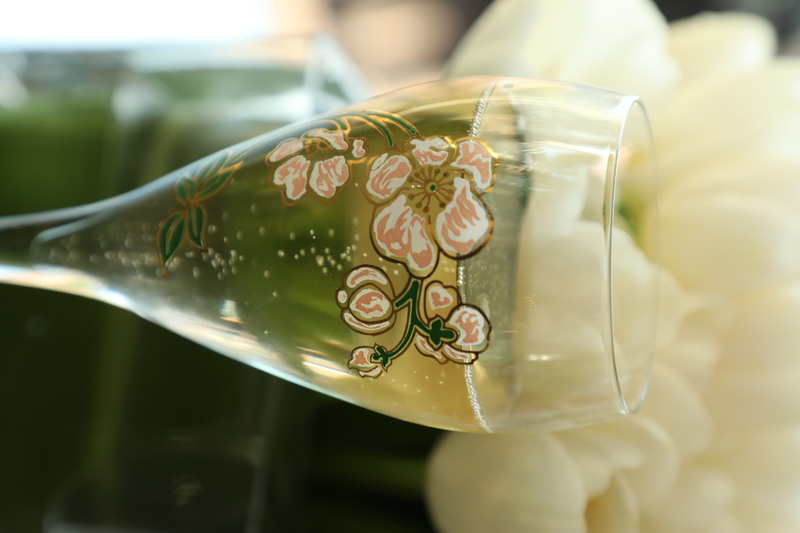 The party continued on Sunday, with Nordstrom Local’s first official Oscars viewing party. The event included a photo booth, a nail bar, 4D HK viewing screens, flowing Perrier-Jouet Grand Brut bubbly, and lots of great company. Anna-Lynne McCord arrived in a sheer Michael Costello-designed catsuit, and posed for lots of photos. Brandi Cyrus, dressed in Elisabetta Franchi, Greer Grammar, and Gretchen Rossi were also there. 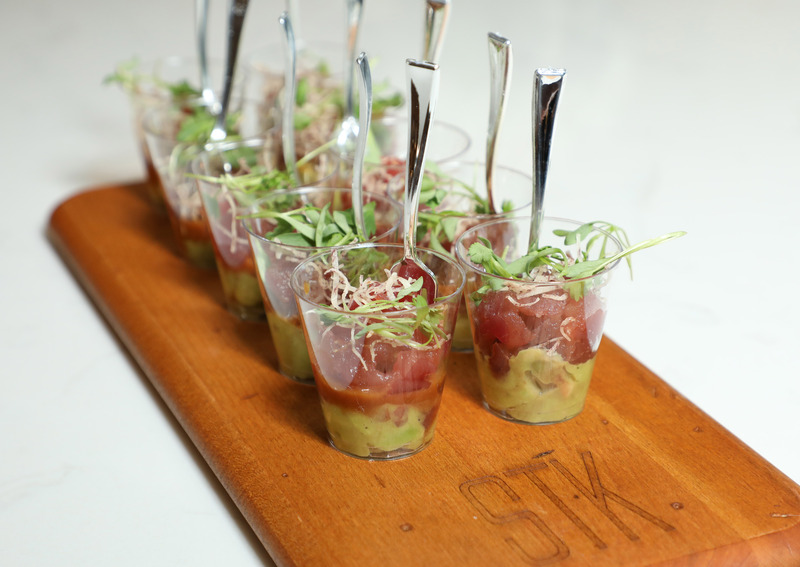 And STK returned with gourmet fare and passed hors d’oeuvres such as truffle fries and tuna tartare and a dinner buffet which included short rib, salmon, chicken, caesar salad, and homemade biscuits. The handmade vodka cocktails from the mixology bar were quite good as well as the Gin Rickey cocktail (Tanqueray 10 Gin, Club Soda, and fresh lime). More please!